On this day in 1986 Len Bias who by all accounts would have been a huge star for the Boston Celtics in the NBA died when he had a cocaine induced seizure. Bias had just been drafted by the Boston Celtics in the NBA draft. Bias had been a star at the University of Maryland. Some believe his talents rivaled those of Michael Jordan. 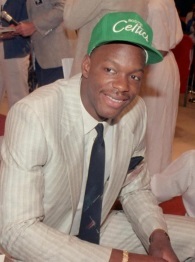 One thing I believe is if Len Bias lives the Boston Celtics would have won 2 or 3 more World Championships. It would take the Celtics a couple decades to recover from the death of Len Bias. Len Bias was 22 years old.